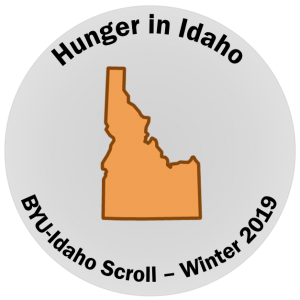 This story is part of a Scroll series highlighting hunger in Eastern Idaho. There might be an embarrassment that people feel when they ask for help, either from their peers or their own families. The case is still true for young couples that seek assistance for hunger, especially for one couple in particular. To respect their privacy, their names are changed to Emma and James. In a recent data survey conducted by the senior students in Communication 440, they found that 36 percent believed that people would not seek help if struggling financially to afford food. Yet, three out of four people claimed to know about the Church resources. 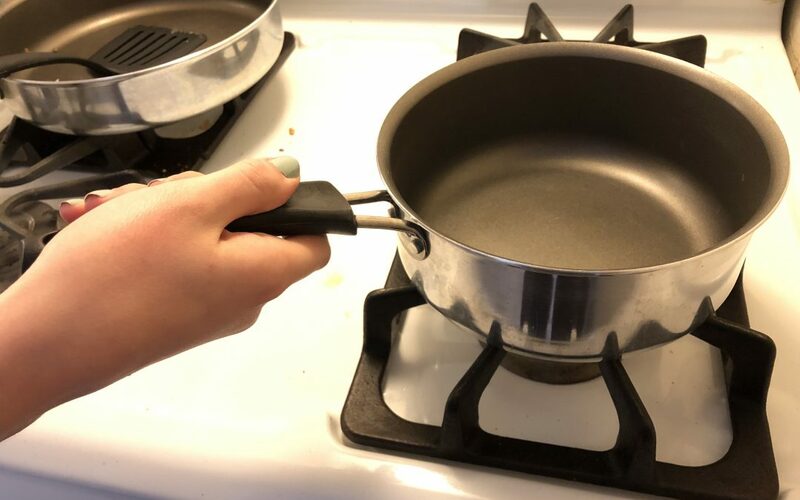 For Emma and James, who have been on the Supplemental Nutrition Assistance Program for nearly a year, the discomfort is the same. According to the United States Department of Agriculture, SNAP offers nutritional assistance to millions of eligible, low-income individuals and families. Even with the added stress relief that comes from assistance, the judgement of others leaves people afraid to ask for help. “I hate going to the store, and here I am with all of my groceries on the belt, then people see me using my SNAP card,” sighed Emma. But, before the couple applied for SNAP, they lived off of cheap sandwiches and top ramen. “That’s not the healthiest or tastiest stuff. It was really hard trying to feed everyone,” Emma confessed. The couple are both students at BYU-Idaho, hoping to graduate within the next two years. But with three children and working, the young parents tried their hardest to make it work over the years. “Whenever we struggle financially, it doesn’t matter. We try to make sure that they have everything that they need: diapers, formula, water, shelter, food, anything,” said James. Due to their financial struggles, each of them have at one point or another delayed a semester’s worth of schooling to generate an income for their family to survive. Yet the couple remains positive about their situation. The two admitted that having SNAP has made parenting easier, but they joke about the effects on their toddlers. A common misconception with food assistance is that it gives people complete freedom to splurge money on food. But, for Emma and James, they still budget everything that they have. The top priority for the young couple is balanced meals and trying to leave some funds to roll onto the next month. They deemed it the most sensible thing to do. “I know how it feels to be tight financially and how it feels to be struggling,” said Emma. With Emma’s childhood memories of being on SNAP with her mother as a single parent, the worry is still there in the back of her mind. The couple strives to remain confident in their spending habits with their own little income or SNAP. But they still appreciate any assistance that they do receive, predominately the stress relief. “We are still kind of tight with our bills, especially since we are living on our own with rent and other bills that we have. But, it definitely does relieve a lot of stress in some ways,” said Emma. Roughly 34,000 Idaho households, not individuals, receive assistance through the Idaho Food Stamp Program, Government Benefits says. Emma and James are just one example of those households in Southeast Idaho on SNAP. As reported by the Idaho Department of Health and Welfare Statistics Publication for 2017-2018, an estimated 10.1 percent of the population receives SNAP in region seven, which includes Madison County and surrounding areas. A neighbor or friend may be struggling and being informed may help someone in need. For more information on how to apply for the same benefits as Emma and James, please visit Department of Health and Welfare – Idaho. What is the line between using church welfare and using government welfare? How do you know which one to use?